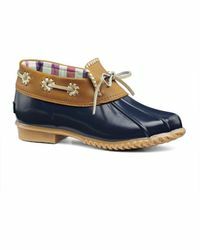 From its origins in the Sixties, Capri there's no doubt that the Jack Rogers brand has a sense of the resort lifestyle to all its designs. 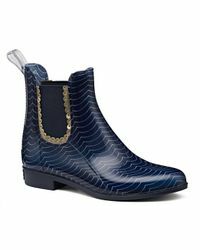 Easygoing but glamorous style has come to define the brand aesthetic, which has at its heart the art of living well. 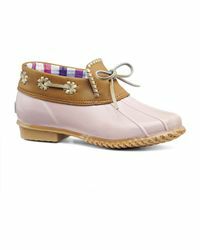 Designs from Jack Rogers are innately stylish and have attracted numerous famous faces to the brand over the years, while also ensuring the wearer feels confident and being versatile enough to allow everything from a cocktail party to a bike ride without even a second thought. 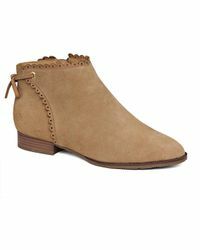 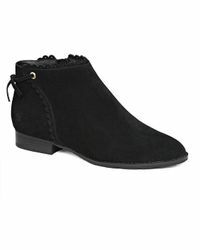 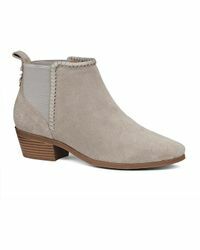 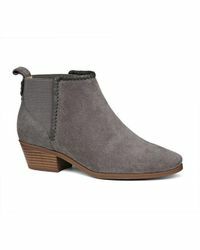 The boots range includes suede ankle boots and knee-high riding boots in smooth leathers. 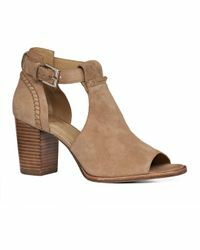 Heels come in a range of heights and each boot has the distinctive scalloped top of a Jack Rogers design.